Cafe TI – pra perder o sono. Agora o problema que tive foi num Servidor Windows 2003, em produção numa academia cliente nosso. O servidor apresentava vários erros ao ser iniciado, todos relacionados ao spooler com Event ID 7031 e 7034, inclusive erros cabulosos de memória que bloqueavam o início do serviço de terminais (Terminal Service / RDP), ou seja caos geral no cliente que nem conseguia usar seu sistema. Neste caso eu não podia simplesmente apagar a pasta do spooler, conforme mencionado nos últimos 2 artigos da saga, pois teria que reconfigurar várias impressoras em várias estações de trabalho, tudo do zero, sendo que nem fui eu que fiz as configurações originais. Então fui pesquisando mais a fundo e fuçando nos registros do Windows, depois de fazer um backup da máquina virtual, claro. Encontrei a dica no blog do Renato, para remover impressora por impressora nos registros do Windows para identificar qual é a causadora do problema, em HKEY_LOCAL_MACHINE \SYSTEM\ CurrentControlSet\Control\Print\Printers. Depois de remover cada impressora eu tentava iniciar o serviço do Spooler novamente, mas ao entrar na lista de Impressoras e aparelhos de fax o serviço era derrubado novamente. 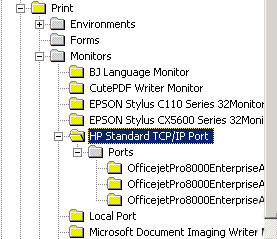 Mas bem perto desta dica resolvi fazer o mesmo na chave Monitors, e encontrei o culpado, o driver de porta TCP/IP da HP (hptcpmon.dll). Bastou remover a chave para que spooler voltasse a funcionar com sua lista completa de impressoras. Algumas impressoras realmente usavam este driver TCP/IP da HP, então ao entrar nas configurações e em Porta não havia nenhuma porta conectada. Bastou adicionar a Standard TCP/IP Port (driver padrão do Windows) com o respectivo IP da impressora para que estas voltassem a funcionar sem usar o driver da HP. Vualá! Dica: Evite ao máximo instalar drivers de terceiros! É a coisa que mais gera problemas e instabilidades no Windows. Use drivers simples, apenas o driver, evitando grandes instaladores e softwares utilitários com seus updates, principalmente em servidores. De preferência para drivers Universais. Greetings Androidians! This is an unofficial CyanogenMod ROM – CM10.1 – for the Samsung Galaxy Tab 7″ (original). P1000, P1000N, P1000L, P1000CDMA, P1000T? P1000R? This is a download page to help CM10.1 enthusiasts. These are my own builds, from the original sgt7 repository with OpenPDroid. The sgt7 repo is the original Te4m repo in the development thread with extra tweaks on top of CyanogenMod, such as the Trebuchet, system, settings and kernel tweaks by sbradymobile and humberos. Finally TeamWin Recovery Project – TWRP – a Touch Recovery, instead of CwM. Blog do HumberOS – Downloads, instructions and tips. My build thread on XDA – hit thanks! BACK EVERYTHING UP, INCLUDING INTERNAL SDCARD, JUST IN CASE. YOU MIGHT NEED TO RESTOCK AND FACTORY WIPE EVERYTHING. UNPLUG USB / DOCK / POWER / ETC BEFORE FLASHING! FLASH ROM, if it reboots, flash again. Already includes the KERNEL! …then flash PDroid, if you want. …then flash GApps if you want. CM10.1 TWRP 20130913 download. Kernel 3.0.94 v1.45 by @humberos + TWRP! Friday the 13th update. All good luck. Optional – if you want PDroid, here it is, if you want just the kernel, here it is. Installs OpenPDroid Patches. Download PDroidManager App from the Market. CM10.1 TWRP 20130810 download. Kernel 3.0.89 v1.38 by @humberos + TWRP! CM10.1 TWRP 20130802 download. Kernel 3.0.88 v1.35 by @humberos + TWRP! CM10.1 TWRP 20130730 download. Kernel 3.0.87 v1.34 by @humberos + TWRP! VoicePlus (former Babel). Little updates and translations. Anything interesting? CM10.1 TWRP 20130715 download. Kernel 3.0.86 v1.33 by @humberos + TWRP! UI, security and kernel updates. Lockscreen rotation. Anything interesting? GApps: Use the recomended package for Android 4.2.2 / CM 10.1 Modem CwM flash updates for CM9/CM10/CM10.1 MTD ROMs, by cdesai. You can also just copy modem.bin to /radio. PDroid Privacy Protection CwM Patch for CM10.1 Android 4.2.2. Works on latest CM10.1 official, @cdesai, @humberos and @alroger builds. The app to be used is PDroidManager now. It can be found in the Market but it is already inclued in the Install ZIP. NoMoarPowah! Galaxy Tab stockblue theme based on ironheart’s theme. Kernels for p1 and p1ln included in the same automated ZIP. CDMA has it’s own ZIP. Use boot.img, boot_p1ln.img inside the ROM ZIP if you want to try other CM10.1 builds, like the CyanogenMod official and AOKP. Android 4.2.2! Kernel 3.0! Press Power + VolDown untill you get the Download screen or PC <–> Tab screen. Or just replace boot.img inside the ROM ZIP with your desired kernel. Must be on Gingerbread or newer with unlocked bootloaders. The Overcome guide is a good start before anything. Easy restock from Gingerbread, in case you get any strange simptoms. Flash full stock Gingerbread (with repartition) via ODIN. Flash the Kernel included in the CM10.1 ZIP for your model (boot_p1n.img for P1000N for example), using the heimdall command above. Boot directly into CwM Recovery, holding Power + VolUp. Flash CM10.1 ROM, if it reboots by itself repeat the step above. If you want PDroid, flash PDroid Patches. If you want Google’s stuff, flash latest GApps for Android 4.2.2. Mobile, Data, 3G problems? This ROM comes with the JPZ modem. You might need to flash your customary modem back. Just copy your modem.bin to /radio in the Tab. Wrong MAC? Wrong IMEI? Try restoring files from /sdcard/backup/efs*/* to /efs/. If you don’t have a backup, then start over with FULL Restock, and next time save your backup/efs folders, which are created everytime you install CM10.1. Market problems? Clear Google Services Framework data and reboot. Multiple users is NOT supported by the OpenPDroid Patches. Developer options: can’t find it? It’s hidden! Tap About tablet / Build number 7 times to unlock it. No touch? That means you got the wrong kernel installed. A couple of builds had problems identifying the exact model. Just flash your kernel through recovery or heimdall / odin. No boot? Stuck at the SAMSUNG logo? Flash the correct kernel using Download Mode using heimdall! Deep Sleep not kicking in? Try wiping cLock’s data or freezing / removing it (com.cyanogenmod.lockclock). Don’t forget to hit the button on the XDA posts that you find helpful. Cheers from Brasil! Greetings Androidians! Clique Aqui para Português. This is a download page to help CM10 enthusiasts, specially P1000N and P1000L that always get their kernels later than the regular P1000. These are my own builds, from the original sgt7 repo, no modifications. 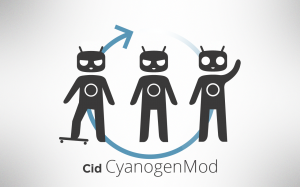 CyanogenMod Full Update Guide from the CyanogenMod Wiki. BACK EVERYTHING UP, INCLUDING INTERNAL SDCARD, JUST IN CASE. YOU MIGHT NEED TO RESTOCK AND FACTORY WIPE EVERYTHING. CM10 UNOFFICIAL – sgt7 repo, not official Cyanogenmod nightly. The sgt7 repo is the original Te4m repo in the development thread, before the merge with CyanogenMod. It will be synced with CM, but will keep extra tweaks, such as the Trebuchet tweaks by sbradymobile and a better recovery. FLASH, if it reboots, flash again, flash GApps and Factory Wipe. CM10 20121120: @humberos‘ kernel. kernel tweaks, sbradymobile updates, LED brightness, clear recent apps button. CM10 20121113: @humberos‘ kernel. Memory fix, video fix, wifi fix, 1.4GHz OC. CM10 20121111: @humberos‘ kernel. Little things.. Voodoo Sound is back. CM10 20121108: @humberos‘ kernel. Performance, battery and wireless fixes, including infamous ksoftirqd/0. Brazilian DST fixes. @humberos‘ 20121104 test kernel. VPN PPTP with mppe encryption working! CM10 20121104: @humberos‘ kernel. Little fixes and updates. VPN working (not mppe yet). CM10 20121031: @humberos‘ kernel. Little fixes and translations. CM10 20121023: @humberos‘ kernel. Loads of updates (4.1.2), GPU OC using Antutu, @sbradymobile tweaks, etc. GApps: GMail not included anymore, use the Market to install it. Modem CwM flash updates for CM9/CM10 MTD ROMs, by cdesai. You can just copy modem.bin to /radio. PDroid Privacy Protection CwM Patch 20121127 (Android 4.1.2). Works on latest CM10 official nightlies and @humberos builds. We can’t install PDroid from the Market, for now, so just follow their link to their thread to download the APK, or restore it from your backups. 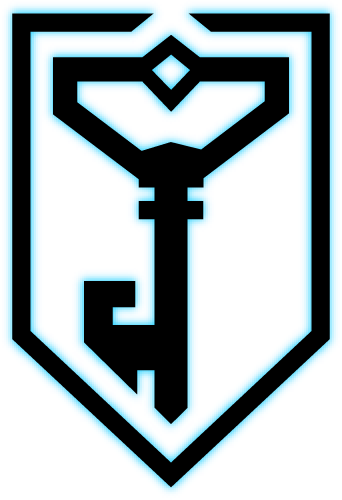 Use boot.img inside the ROM ZIPs if you want to try other CM10 builds, like the CyanogenMod official and AOKP, which often don’t provide latin (P1000N/L) kernels. The Overcome guide is a good start before you get to CM10. Easy restock from Gingerbread, in case you get any strange simptoms. Flash full stock Gingerbread (with repartition). Flash Kernel with CwM. Doesn’t have to be Overcome, could be any CF-root kernel for your model. You can use the same one in the CM10 ZIP that you will flash. Boot directly into CwM Recovery, holding VolUp. Flash CM10 ROM and GApps! Mobile, Data, 3G problems? This ROM comes with the JPZ modem. You might need to flash your customary modem back. Just copy your modem.bin to /system/vendor in the Tab. It’s /radio again. Wrong MAC? Ugly hack via script. Correct MAC should be in /system/vendor/firmware/nvram_net.txt – not always. We can’t install PDroid from the Market, for now, so just follow their link to their thread to download the APK! Reboot problems? Try the latest kernel and go into Performance / Memory Management and enable the default zRAM option. Must reboot after that. Superuser annoying you? Install SuperSU from Chainfire. Don’t forget to hit the button on the XDA posts that you find helpful. Cada vez mais vejo o pessoal novo do Linux perguntando… existe um viewer 64 bits que funciona tudo? Como ativar a parte multimedia (áudio/vídeo/música) no Viewer de 32 bits, rodando num Linux 64 bits? O problema é que os Linux mais comuns de 64 bits vem apenas com o tal de gstreamer em 64 bits, e não permitem instalar a contraparte de 32 bits sem bagunçar tudo e dar um nó na cabeça. Este gstreamer é o que permite tocar streamings de áudio e vídeo dentro do SL Viewer no Linux. Então a única solução viável, já que a Linden Labs não se da ao trabalho de compilar uma versão 64 bits de seu viewer, é usar um viewer 64 bits de terceiros. Pois graças ao colaborador @ArminWeatherwax, temos uma opção muito boa, o Teapot. Parece tudo funcionar muito bem e com performance superior a qualquer outro viewer. O Imprudence ficou congelado em sua última versão 1.4 beta 2, sem Mesh e outras coisas novas, deixando esperanças no desenvolvimento de seu sucessor o Kokua Viewer, primeira versão alpha, que deixa um pouco a desejar em sua performance e bugs. Alguém tomou providências e lançou o Teapot para contribuir. Hoje também fui avisado de uma nova opção, o Singularity, que ainda vou testar… e resolvi compartilhar. Links dos viewers abaixo. Aceito comentários complementando ou corrigindo os meus em cada viewer. Imprudence – No Mesh, no Flash media? Kokua – Mesh, slow, bugs. Teapot – Mesh, Fast, Stable. Singularity – Mesh, testing… não consegui rodar. Quebra logo após o login pra mim. No site diz que próxima versão vão compilar em outro Linux fora do Fedora 16 para melhorar a compatibilidade. This is a download page to help CM9 enthusiasts, specially P1000N and P1000L that always get their kernels later than the regular P1000. These are my own builds, from the original sgt7 repo, no modifications. 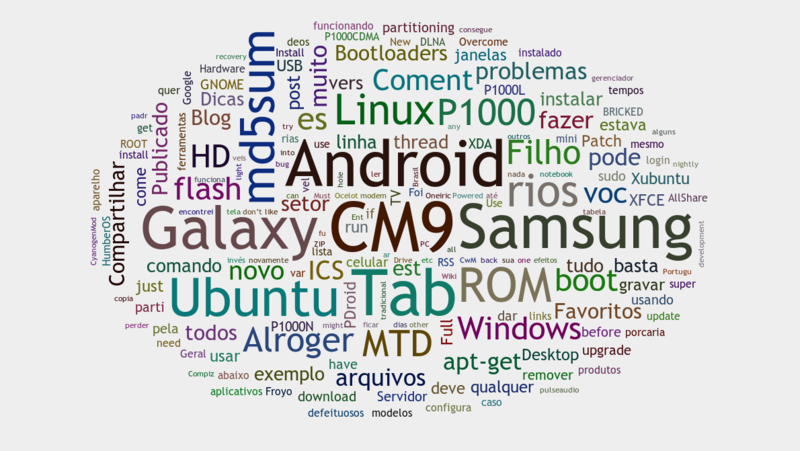 XDA CM9 Developer thread – don’t post here! NOT for bug reports, questions or requests (always read first post). Use discussion thread for help or helping and the bug thread for bugs. The NEW DISCUSSION THREAD is only for OFFICIAL NIGHTLY BUILDS! 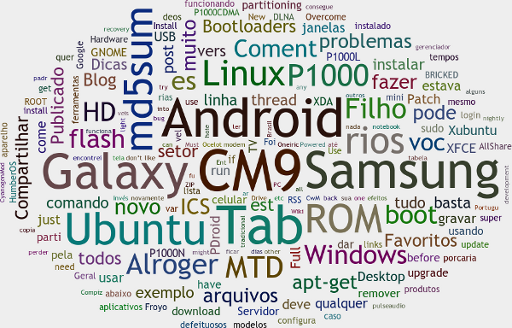 Blog do HumberOS – CM9 Downloads – Português Brasil! Blog do HumberOS – Instalação “passo a passo” – Português Brasil! My download post on XDA – hit thanks! CM9 Full Update Guide from the CyanogenMod Wiki. New opensource partitioning type. Same partitions, just diferent type. Easy to flash to, but you will have to full flash and repartition to go back do BML, the Saumsung proprietary partitioning, used in all other non-MTD ROMs. CM9 UNOFFICIAL – sgt7 mtd repo, not official Cyanogenmod nightly. UNPLUG USB / DOCK BEFORE FLASHING! CM9 20120812 “STABLE”: @cdesai‘s kernel, little updates and translations. @humberos Kernels 20120627: changelog: 600MHz added for batt savings. CwM ZIP. CM9 20120628: @cdesai’s kernel, Fix sluggish to launch an app. CM9 20120627: @cdesai’s kernel. like RC1? @humberos Kernels 20120624: changelog: 1.3GHz and USB Fast Charge. CM9 20120623: @cdesai‘s kernel, which seems more stable, trebuchet tweaks? GAPPS: You can flash both, first the old one with GMail, then the newest one. CM9 4.0.3-4 20120317 / md5sum: dc560aa235e8dd8cb00df0cefb5abd38 – Includes GMAIL. 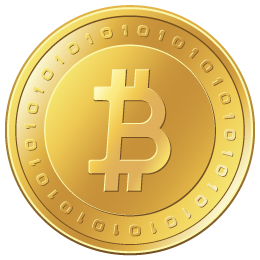 CM9 4.0.3-4 20120429 / md5sum: 7c524e1e078164f681e0aa6753180b2c – NO GMAIL. Modem CwM flash updates for MTD ROMs, by cdesai. 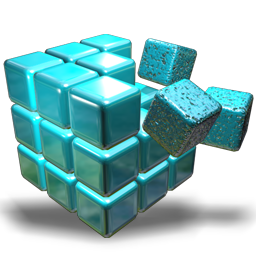 PDroid Privacy Protection CwM Patch 20120812. PDroid Patch Remove – re-flash your ROM, or copy the original 3 files. Use boot.img inside the ROM ZIPs if you want to try other CM9 MTD builds, like the CyanogenMod official and AOKP, which often don’t provide latin (P1000N/L) kernels. The Overcome guide is a good start before you get to CM9. Flash Kernel with CwM. Doesn’t have to be Overcome, could be any CF-root kernel for your model. You can use the same one in the CM9 ZIP that you will flash. Boot directly into CwM Recovery, holding VolUp. No need to convert to ext4, since MTD will converto to yaffs2 anyways. Flash CM9 ROM and GApps! Coming from some variations of CM9 you might get assert error status 7. If you are up to editing the update script, try reading this post from HumberOS. Or try this in recovery, thanks ayysir. Else, do the full restock, Overcome dance. Laggy? Slow? Wipe Cache and Dalvik cache. Also try using the following configs in Performance Settings: Processor: Max CPU 1200MHz, Governor ONDEMANDX (go ahead and try others like SmartassV2, Smoothass and Lagfree). Memory Management: zRam 18%, Allow purgin assets and Kernel samepage merging (KSM). And reboot. @sbradymobile – For anybody with a SystemUI FC on the newest build go into Settings > System > Combined bar expanded settings > Expanded settings entries and uncheck/recheck at least one of the settings (I will push the fix this morning). You can now change the order as well. Wifi sleeping: if your wifi is sleeping when it’s not supposed to, try setting Minimum CPU Speed to 200MHz.